Robert Gottlieb is the most renowned American book editor and publisher in the latter half of the 20th century, much as was the legendary Max Perkins in the first half. 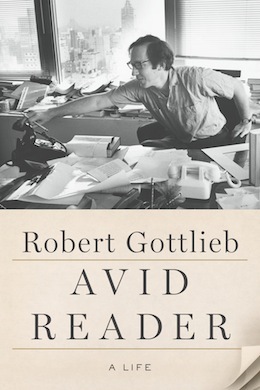 And in his riveting memoir – Avid Reader: A Life (Farrar, Straus and Giroux, 2016) – Gottlieb traces the trajectory of his long and productive life with books and reading. 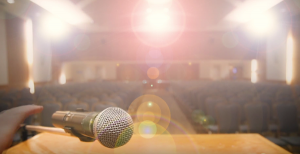 Since the family was atheistic, Judaism played no role in his life. Yet he considered himself a New York Jew, a terse, self-identifying phrase that occurs like a leitmotif a number of times in his memoir. He attends Columbia, majors in English literature and edits the school’s literary magazine. Later, he gets a yearlong fellowship to Cambridge, where, for the first time in his life, he gets a whiff of antisemitism. He is aware of the “casual antisemitism that punctuates English literature,” but that’s in books and here was real life. The English Jews he met, Gottlieb notes, considered themselves “the other,” and he, too, senses the English disdain of foreigners and Jews. Later, when he’s an established editor, he has an encounter with children’s book author Roald Dahl, one of whose many nasty anti-Jewish remarks was: “There is always a reason why anti-anything crops up; even a stinker like Hitler didn’t just pick on them for no reason.” He also has an incident with John le Carré. With both English authors, he briefly recalls what he had felt in England. Back in the United States, Gottlieb gets his first job as an editor with Simon and Schuster, where he would stay 11 years and publish amazing books, including one of my all-time favourite novels, Joseph Heller’s Catch-22. That unique title deserves mention. Heller had called his manuscript Catch-18, until Gottlieb saw that a new novel by Exodus author Leon Uris would be called Mila 18. The number in Heller’s title would have to be changed. Heller suggested 14, but that number was nixed as flavourless. In the middle of the night, Gottlieb had a revelation: 22. He called Heller: “I got it. 22. It’s even funnier than 18.” The book went on to sell millions of copies. With his success at Simon and Schuster, Gottlieb was invited to head Knopf. He was only 36 and looked years younger. By this time, he was so famous that his move to Knopf was front-page news in the New York Times. For Gottlieb, this was a dream job. For him, Knopf was the great literary house of the century. He had been nurtured on the great novelists Knopf was respected for Thomas Mann, Franz Kafka, Albert Camus, Jean-Paul Sartre, D.H. Lawrence. Under his leadership, the house brought in celebrities like Katherine Hepburn, Lauren Bacall and Washington Post publisher Katharine Graham to write their memoirs, all of which, with Gottlieb’s magic touch, became bestsellers. Also added to the Knopf list were writers like Gabriel García Márquez and Milan Kundera. For Gottlieb, editing is not shaping a book according to the editor’s wishes but making it the best book the writer can write. The key to Gottlieb’s success is his constant devotion to his writers, often spending days with them to help them with their books. What is most revealing about Gottlieb’s irresistible personality and talent for friendship is that he goes on to form personal relationships with the writers he’s met that last for decades. From Knopf, Gottlieb was appointed editor of The New Yorker (again front-page news in the Times), where he stayed for five years before finally retiring. After writing a biography of his hero, the great choreographer Georges Balanchine, Yale University Press lured Gottlieb to write the first biography in their new series, Jewish Lives. His assignment, Sarah Bernhardt, whom he calls “the most famous of all French women other than Joan of Arc.” Although this book is the bestselling short biography of that series, in typical Gottlieb self-denigration, he asserts that its success is not so much about him as it is about the book’s heroine. Only a great editor like Gottlieb would have the sensitivity to list in the acknowledgments pages all the editors and assistants, friends and colleagues who helped him with Avid Reader. It’s hard to believe that Gottlieb is 86 years old; he doesn’t look it, and his energy and creative spirit belies that advanced number. Some people are just fated to remain 44 – or 22 – forever. Curt Leviant’s most recent books are the novels King of Yiddish and Kafka’s Son.